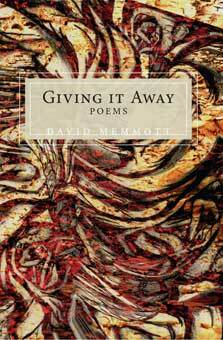 David Memmott's fifth book of poetry is an engaging celebration of life in Eastern Oregon--and the many strong poems resonate with a lyric vitality. Rich in personae--Dreamer, Warrior, Traveler, Gardener, Lover, Son, Witness, Poet--David Memmott's Giving It Away is mature, sophisticated, visionary work. These diverse poems range far and near, inside and out of time and place. They intimately explore what we all want to know: How does the dream of life shape our every waking moment? What happens in a day under these wheeling infinite stars? Are harmony and wisdom possible? Readers everywhere may savor the fruits of Memmott's amazing range of replies and his passionate quest for the universal round--our common dance. David Memmott's sense of place extends from his piece of ground in northeastern Oregon to the space-time continuum of the universe itself. By turns prophetic, polemical, sensual, and humorous, these poems speak in stalwart witness to the outer and inner landscapes that he calls home. Giving It Away is infused with the generous and expansive spirit its title evokes. The center of the book is a powerful narrative poem, 'Where the Yellow Brick Road Turns West.' From that center he unfolds the harsh but saving rituals of survival in the rural west: paying homage to his mother who escaped an abusive husband and took him to a new life, celebrating stacked firewood and the song of wintering over birds, responding to the works of other writers, confronting a 'flatline stretch of lonesome highway,' and suffering the bite of winter which nevertheless brings with it 'snow slumping away/under the steady Chinook of our most welcome touch...' A fine and fresh contribution to the literature of the northwest.